And we mean SUPER-DUPER sale! All Haven Girl and Baby Sara are now under $15! No kidding! This is way below their wholesale price, so all sales are final and no returns/exchanges are accepted. These are brand new items, they are not defective and haven't been sold to anyone else previously. 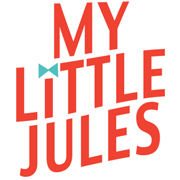 We are making room for fall arrivals in out tiny warehouse, so we need them gone :) We are here to answer any of your sizing or other questions and the best way to reach us is through out Facebook page: http://www.facebook.com/pages/My-Little-Jules/163398273678542. Below are the links and a few featured items. Happy shopping! We HEART Mondays and so should you!